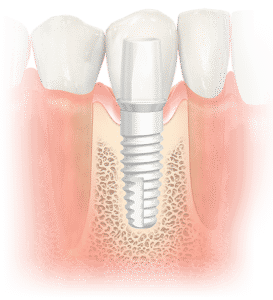 Dental implants have come a long way, and now patients have the option to choose metal-free dental implants. Instead of using titanium posts, this innovative implant relies on a post that is made from zirconia, which is a type of ceramic. 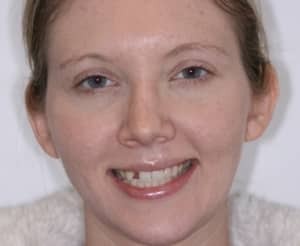 This metal-free option is a solid choice for many patients who are looking to permanently replace one or more teeth. Ever since implants first hit the dental world, they became the go-to choice for both dentists and patients looking for tooth replacement. The functionality and look of implants make them highly appealing. However, traditional implants are not one-size-fits-all. Standard titanium posts, while very effective, are not ideal for all patients. With the introduction of metal-free implants, however, more patients can enjoy the beauty of implant restorations. Metal-free implants are surgically placed into the jaw bone, just like titanium implants. However, these posts are created from a highly durable ceramic called zirconium. The ceramic post attaches seamlessly to the surrounding soft tissue, and in many cases, it creates a lower inflammatory response than titanium posts. Zirconium posts are both extremely durable and highly effective. This material is just as strong as titanium; however, patients don’t have to worry about seeing metal in their mouth. Ceramic posts are virtually undetectable, and no one can tell you have an implant. Metal-free implants are also easier to care for and keep clean. This innovative material doesn’t attract plaque as easily as other options. This helps patients keep their smile and gum tissue both beautiful and healthy. Since zirconium posts have a lower inflammatory response, patients often heal faster and can enjoy their new smile without worry. There is also a reduced risk of the post failing due to rejection during the healing process. Metal allergies are very common, and those with severe allergies to different types of metal may find standard titanium implants not a good choice. Metal-free implants, however, are made from hypoallergenic zirconia. There’s no worry of an allergic reaction, even with the most sensitive patients. Some patients who have thinner gingival tissue will benefit from the visual appearance of metal-free dental implants. Since the posts are created from ceramic, there is no worry of metal showing through the gum tissue. This creates a natural soft tissue appearance. The results are more realistic and aesthetically pleasing. Patients now have options when it comes to dental implants. Zirconium implants are cutting-edge, and this technology is making it possible for more patients to permanently replace missing teeth. Dr. Fisher is pleased to provide metal-free implants to patients who want to improve their smile. Be sure to schedule an appointment to determine if you’re an ideal candidate for metal-free implants.